Because of its history, 96-mile wide Gale Crater crater landing site, with its strangely sculpted mountain –three times higher than the Grand Canyon is deep–is the ideal place for Curiosity to conduct its mission of exploration into the Red Planet's past. Researchers plan to use Curiosity to study layers in the mountain that hold evidence about wet environments of early Mars. The Mars Science Laboratory is the newest and largest of NASA's Martian landers and is scheduled to touch down August 2012. Curiosity doesn't have a shovel but, equipped with drilling technology, it will collect, store, and analyze samples of Martian material down to 5 centimeters below the surface of rock and soil. Past Martian rovers have only collected loose soil atop the surface that has been directly exposed to cosmic radiation, making the possibility for detecting organic molecules exceedingly slim. Lewis Dartnell, a postdoctoral researcher at the University College London in the U.K., said the paper was a nice study that combined results from other studies with the latest radiation modeling. Dartnell was not part of the study, but has published previous work involving effects of cosmic radiation on the Martian surface. * "The next logical step," Dartnell said, "is to actually experiment and have a radiation source hit amino acids with radiation of similar energies as cosmic rays and determine how quickly those amino acids are destroyed because models can only do so much." 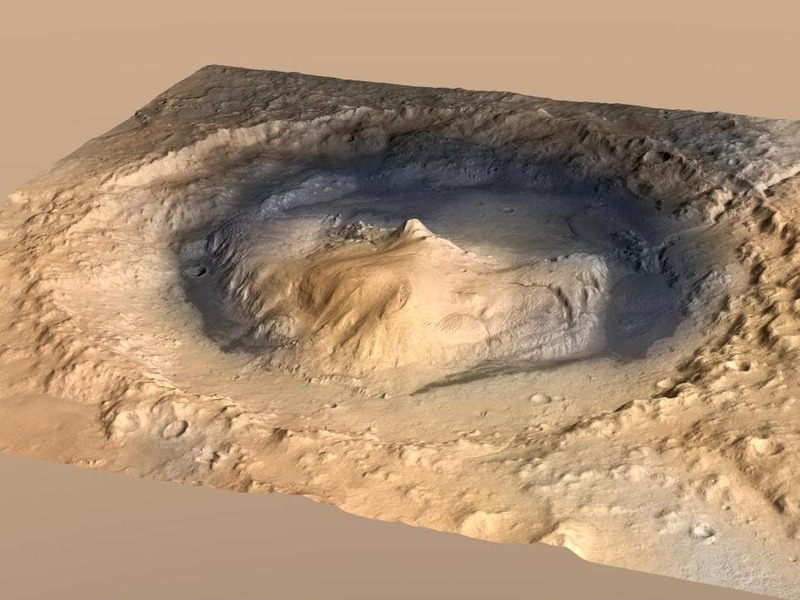 Curiosity is set to land in Gale crater – the same crater where the Spirit rover landed in 2004– on August 6. Whether this 3.5-billion-year-old crater has fresher craters within it is uncertain. However, Pavlov hopes that his team's findings will at least help guide NASA on where to drill once the rover has landed and influence where future generations of rover landers will touch down. The study was published 7 July in Geophysical Research Letters, a journal of the American Geophysical Union.